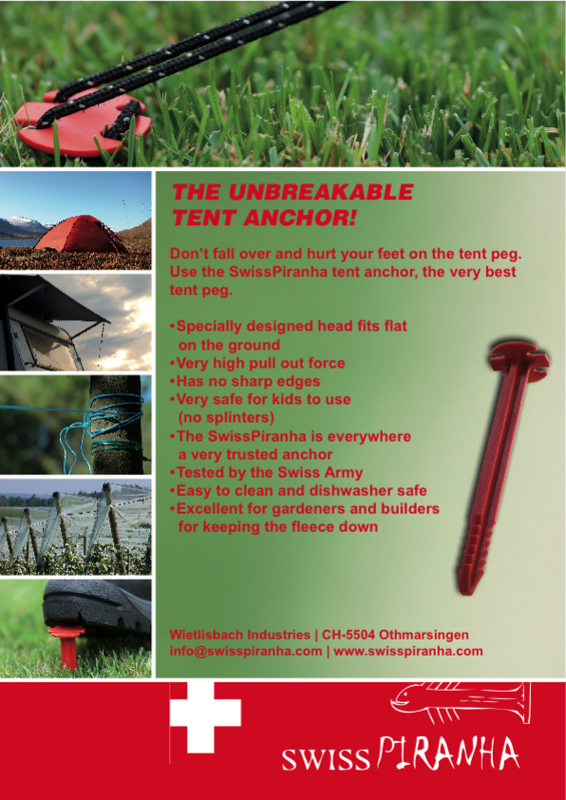 SwissPiranha 22 cm - RT 220: The unbreakable tent Anchor. Specially designed head fits flat on the ground. 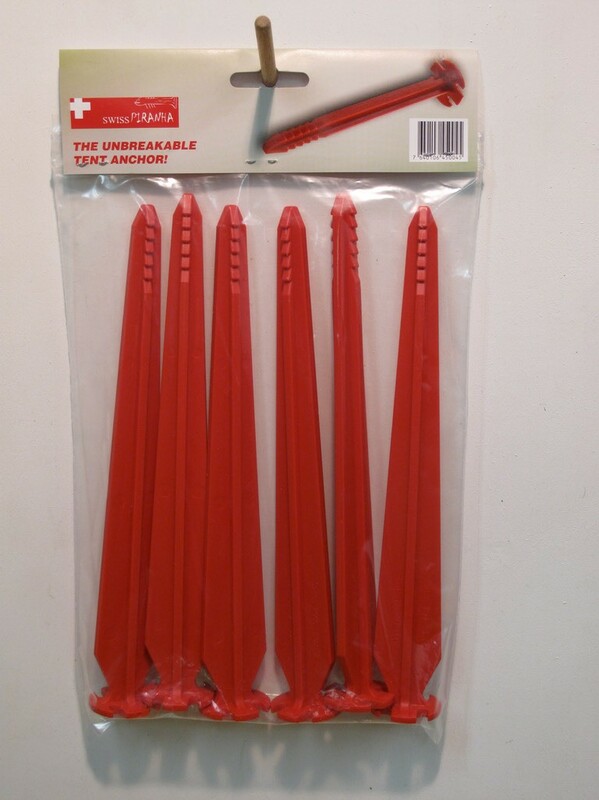 Very high pull out force and no sharp edges. Very safe - also for kids to use (no splinters). The SwissPiranha is everywhere a very trusted anchor and tested by the Swiss Army. It is easy to clean and dishwasher safe. Excellent also for gardeners and builders for keeping the fleece down. Don't fall over and hurt your feet on the tent peg. 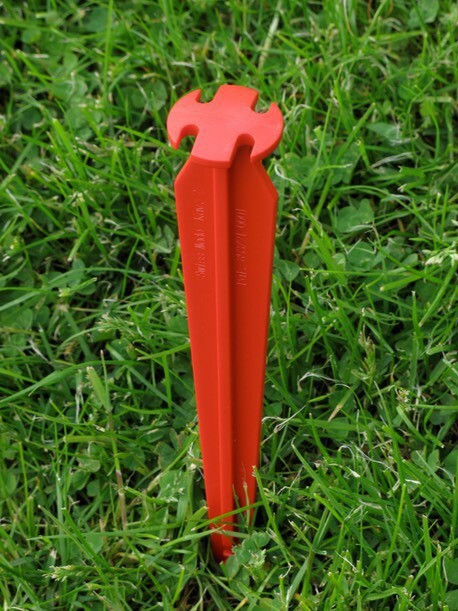 Use the SwissPiranha tent anchor, the very best tent peg. 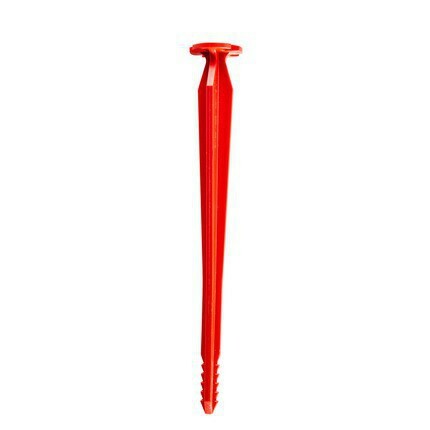 - Excellent for gardeners and builders for keeping the fleece down.